Perhaps I expected to much from the idylic outside but the inside, instead of being a quaint old pub, was something more akin to a bistro. There is a large empty area in the bar which would be more use as seating. Having said that we were made very welcome, including our two dogs. The food was ok but expensive and the ale choice was unimaginative given the amount of new breweries in Cornwall. Does every pub in Cornwall have to sell a beer from a brewery beginning with S? There was one exception to this, a cask on the bar selling a beer from Nottingham but it was too warm and I felt a bit past its best. The address is of course wrong but as stelladrinker highlighted this in 2008 I don't hold any hope it will be corrected. Trouble is anyone looking for a pub in or near this village will not find it on BITE; they wouldn't be putting Truro into the search location. We were last here 2 years ago when we stayed in Devoran. Friendly enough, without being warm. The menu was geared towards seafood, which is understandable given the location. We all had good enough meals, but they were small. Nice enough, but we won't be back. 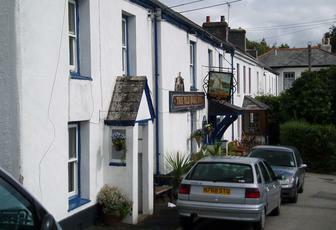 Pub is not in Truro but 6 miles away in the beautiful creekside village of Devoran. What makes this place is the wonderful setting, particularly in the summer. Parking is very limited so get there early in the evening for a space. 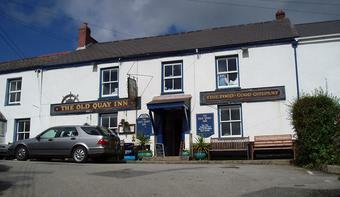 Pub has been taken over several times in the last 5 years with varying levels of service. However, service/drink/food is ok.